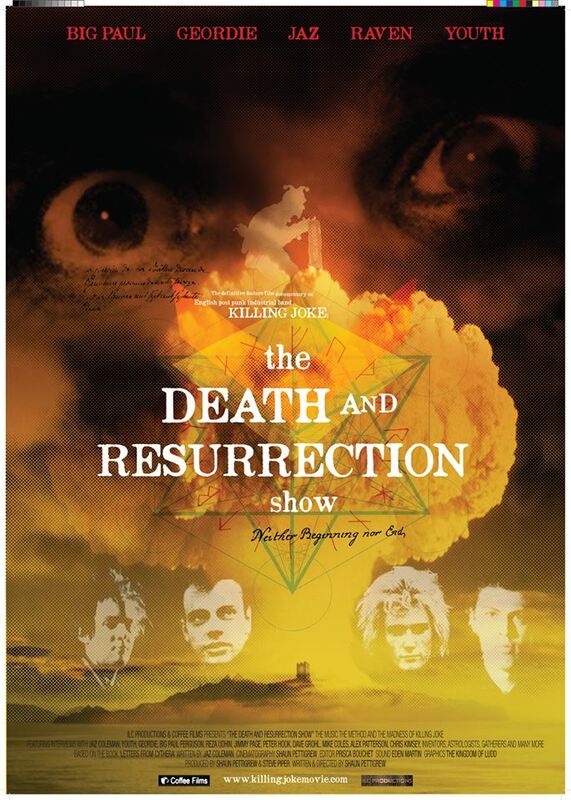 An update from Killing Joke on the almost lterally legendary “Death and Resurrection Show”. After three years, it appears we have finally tracked all the music rights owners and bashed out the basics of deals with most of them; this has been a significant hold up in the release and is often the case for many music docs. KJ do control a fair bit of the catalogue, but not all of it, there’s various bits in there from other artists too. The film has been screening to various distributors and other buyers internationally quite a bit over recent weeks, we have the basics of a cinema release predominantly UK, DVD release and TV/VOD screenings longer term worked out but are working on territories where releases aren’t currently in place. There’s lots of interest in the film, though everyone’s struggling to comprehend how large the KJ audience is; if you get a sec give us a hand and let fellow Gatherers know about the film by shooting out an invite to this page, it all helps marketing minded people get an understanding for things. It is extremely likely that pre-orders will be available for DVDs and/or blu-rays very very very soon, we’re working out a nice package with lots of extra footage etc. By no means finalised, but pencilled in, we’re looking towards cinema in autumn/winter this year and DVD over winter, more details as they become set in stone. We’ll get as many cinema screenings in as we can as the experience takes it all up a notch with big screen and big sound. Apologies for the quiet and the endless maybes; we’ve joined a club of music docs that were tricky to make and considerably harder to get properly released, but it feels like we’re almost there at last. In the interim Shaun has been endlessly refining the sound mix and edit, which is something you don’t usually get the opportunity to do, it’s looking and sounding great.